Greyhound Racing Victoria (GRV) is the body responsible for promoting and controlling the sport of greyhound racing. 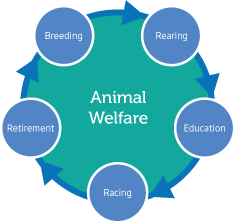 GRV has developed this website because animal welfare must be the highest priority for the sport if we want it to have a strong and sustainable future. Former champion stayer Arvo’s Junior has been inducted into GRV’s Hall of Fame at the 2017/18 Victorian Greyhound Awards at Crown Palladium. Full story. Read the monthly update from Greyhound Racing Victoria’s CEO, Alan Clayton, on the latest GRV activity and developments in the sport. Getting your greyhound ready for re-homing.